Hello Internet! How are you these days? I’m awfully busy! In between filling out the final requirements so I can take up this new job, and prepping to move into a new apartment nearby (I got a sweet deal on a new one-bedroom pad. It’s going to be awesome! ), I’ve been up to something or other at most hours. And when I’m not doing either of those, I’ve been trying to enter into a contract with demonic entities to ensure I rise to power working on making sure Video Rage gets out on time and that everybody knows about it. Now in two weeks we will see the release of Video Rage, the epic sequel to my first novel Reborn City. If you’re unfamiliar with Reborn City (which would surprise me, because I seem to talk about nothing else lately), it’s a science fiction story about street gangs in a dystopian city-state in humanity’s future, and the connection between the leaders of a rising gang known as the Hydras, the leaders’ amazing powers and abilities, and the shadowy corporation that rules over Reborn City. The first book contains themes of gang violence, prejudice, drug addiction, and overcoming negative perceptions of oneself. The second book will continue soon after where the first book left off, as the Hydras try to escape old enemies and deal with tensions within the group, trying to find hope within the most unlikely of places and people. If you liked the first book, I think you’ll get plenty out of Video Rage. Well, that’s enough plugging for now. I’ll be releasing a character interview soon, so keep your eyes out for that. If you would like to pre-order Video Rage, or if you would like to check out Reborn City before it comes out, the links are down below. I’m off to make sure that the release goes off without a hitch. Wish me luck, my Followers of Fear! 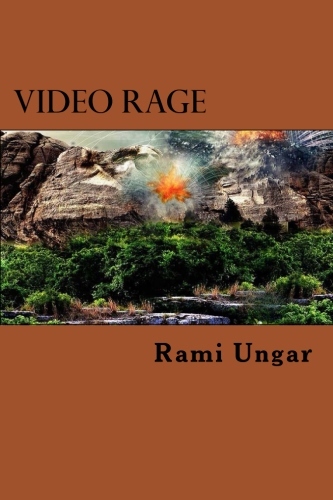 Links for Video Rage: Amazon, Barnes & Noble, iBooks,Smashwords, and Kobo.